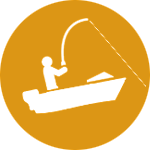 Great fishing, boating and even hunting are all here for you to enjoy. Come stay in one of our clean, spacious cabins and either choose a housekeeping or full American plan based on your wants and need. Enjoy Mother Nature at her best and stay a while, you won't want to leave. 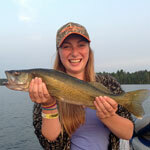 Lake Nipissing offers amazing musky, pickerel, northern pike and bass (large and small mouth) fishing. The lake has tonnes of bays and hundreds of islands, large areas of open water, plenty of rock shoals and several creeks to accommodate any style of fishing imaginable. 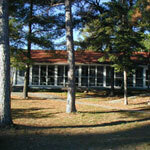 Our accommodations and facilities can handle couples, groups of family or friends large or small. 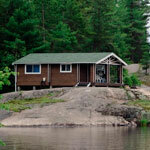 You will find 17 cabins (cottages), ranging one bedroom to 5 bedrooms. 11 housekeeping and 5 American plan (meal plan). Uniquely placed along the miles of shoreline amongst the evergreens. We have a fleet of Geisler cedar strip boats equipped with 20 hp electric start 4 strokes Yamaha outboard motors along with either 2 or 3 padded quality swivel seats, fish finders and safety kits. We also have a fleet of 16 ft Alumacrafts with 2 swivel seats and a split centre bench, flat bottom also equipped with electric start 20 hp Yamaha 4 stroke motors, depth finders and safety equipment included. From the kid’s activity program to lazy days on the beach, we offer a wonderful place to vacation as a family. Time to put away the phones and electronics and enjoy the outdoors, catching frogs, fishing from the docks, playing board games and scavenger hunts. Memquisit takes you back in time when outside was the kids play ground. Sit by the fire, making memories. Pets are welcome here at Memquisit. 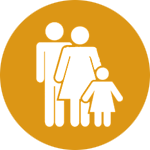 We understand that they are a part of the family and travel everywhere with you. 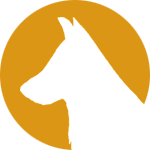 Pet Security Deposits are taken and are fully refundable if cabin and all contents is left free of pet hair.